Atomic timekeeping technology enables clock movements to automatically set themselves, and spring forward and fall back when the Daylight Saving Time change occurs twice a year. How does atomic time work? 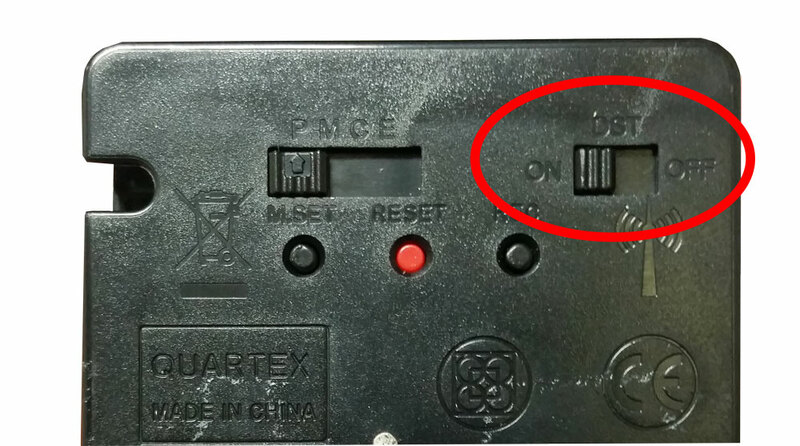 Answer: An atomic (or radio controlled) quartz clock movement contains a receiver that obtains a 60-kilohertz, low frequency AM radio signal from the WWVB that is maintained by the National Institute of Standards and Technology (NIST) in Fort Collins, Colorado. These signals adjust the time display to the correct time. Atomic clock movements generally receive the radio controlled signal from NIST between 11 a.m. and 1 p.m., and from 11 p.m. to 1 a.m. – depending on your time zone. Are atomic clock movements able to obtain radio controlled signals worldwide? 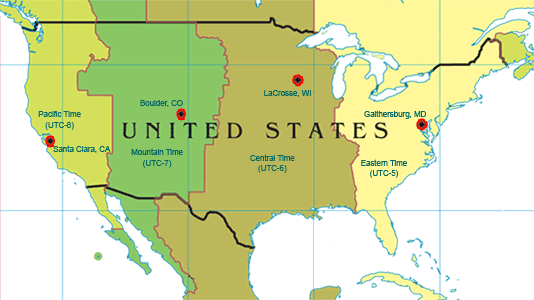 Answer: The NIST’s WWVB radio controlled signal can be obtained by our atomic clock movements within the continental United States and parts of Canada and Mexico. The map above shows the location of the WWVB time code monitoring sites. The WWVB signal is continuously decoded at each of these sites to determine the current signal conditions for radio controlled clocks (RCCs). Will an atomic clock movement adjust itself for Daylight Saving Time? Answer: Atomic clock movements and atomic clocks will automatically adjust for Daylight Saving Time (DST) when they receive the signal from the NIST’s WWVB station. When your atomic timepiece receives the signal for the time change, the hour and minute hands will advance clockwise to the correct time for spring or fall. DST typically occurs at 2 a.m., but your timepiece may need additional time to receive the signal and adjust accordingly. It may take 24-48 hours to update to the correct time. My area does not observe DST, is there an option to turn off DST? Answer: When setting our atomic clock movement, a DST switch can be located on the back of the clock movement. You have the option to turning the DST on/off. To turn off the DST option, slide the switch to the “off” position. When the DST is set to “on”, the unit will automatically adjust for daylight saving time. My atomic clock has not adjusted for DST or is not receiving the radio controlled signal, what do I do? After allowing the atomic movement to sit for 24 hours, check the location of where your atomic clock movement is kept. Make sure the unit is not within 10-15 ft. of any metal material, electronic devices or other atomic clocks. If the signal is not obtained after 24-48 hours, relocate the atomic movement to a different location. Allow 24-48 hours for the atomic clock to obtain the signal in the new location. Shop for Atomic products at Klockit! Click the link to shop atomic clocks, atomic clock movements, and atomic clock making kits at Klockit.com!